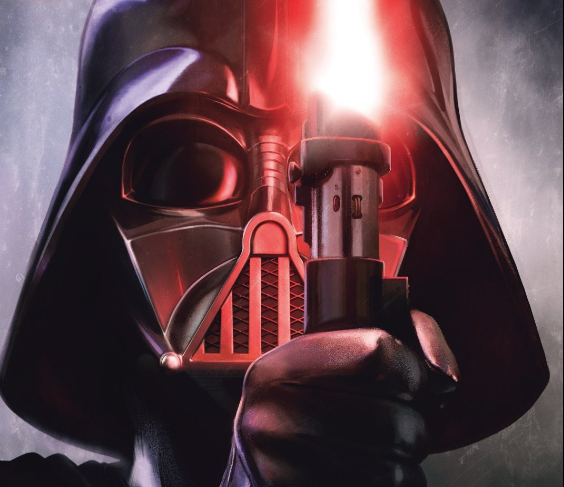 Darth Vader #12 Review – AiPT! Darth Vader and the Emperor have some words. Last issue Darth Vader encountered bounty hunters who wanted to take his life. It was soon revealed the Emperor might be behind the attack. Since the Sith Lord has attempted to test Vader in a similar way before it seems logical, but in today’s issue it’s revealed it may be another. This issue begins to progress Darth Vader’s role within the hierarchy of power amongst the generals and soldiers. Since this issue he’s been more of a right hand to the Emperor and Charles Soule appears to be pulling away from that a bit and giving Vader more power of his own. They’re out to get you bro! This issue focuses exclusively on Darth Vader’s doubt about the Emperor as he truly believes he may be attempting to kill him. The last issue did a good job making us think this, especially since Vader failed to keep Jocasta Nu, but alas that may not be the case. Soule does a good job fleshing out Vader’s growing power questioning the Emperor and then experiencing a test of his faith. You get the sense these two Sith hate each other on some level, but there is still a mutual respect. As the story progresses it is revealed whether or not the Emperor is behind it though it’s still a mystery who the culprits are. One of the coolest aspects of this issue is how Soule and artist Giuseppe Camuncoli continue to reveal Darth Vader’s thoughts as he meditates. It’s a cruel looking place as he floats over lava and so far his body/soul has been cast in black and dark red. There’s a pure evilness to this imagery and it pops up again at the end of the book in an interesting way. A change is made in his spirit that’s tragic and it makes you feel sorry for Darth Vader as his rage and anger appears to have taken over his soul even more. Camuncoli draws a strong comic with the meditation/spirit realm being a major highlight. There’s also a good action scene requiring Vader to use his spaceship flying skills. The scenes between the Emperor and Darth Vader do a great job establishing the subversive battle they are having via body language. There’s tension in these panels that help convey that the rocky relationship between the Sith is basically passive aggressive. For a brief moment I was a bit lost while reading the book. The story goes from Darth Vader crash landing his ship to meeting with the Emperor. I had to flip back and forth to make sure I didn’t miss any captions that said the time had changed. It’s a harsh transition that’s clunky. One could argue this issue is rather tepid with only a brief action scene in space and then most of it focusing on the politics of the Empire. It’s interesting if you love Star Wars lore, but it does make you want more in the action department. I enjoyed this issue as it further explores the rocky relationship between Darth Vader and the Emperor. Soule is crafting an interesting story here as it reveals Vader was once more of a bodyguard, but the leader of the Empire we see in Star Wars took some story beats. A solid chapter in the Darth Vader story though it's more political than most probably would like.